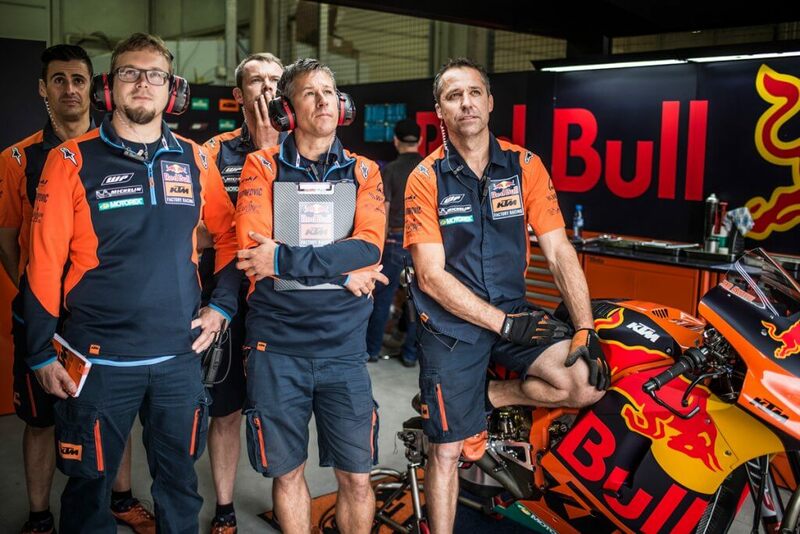 They're starting again in MotoGP at the Red Bull Ring: KTM motorcycles with frames made from voestalpine steel tubes. Ahead of the 2017 Spielberg race we managed to talk to Sebastian Risse, Technical Director of MotoGP at KTM, and asked about development paths, channeling motivation, and steel frames. 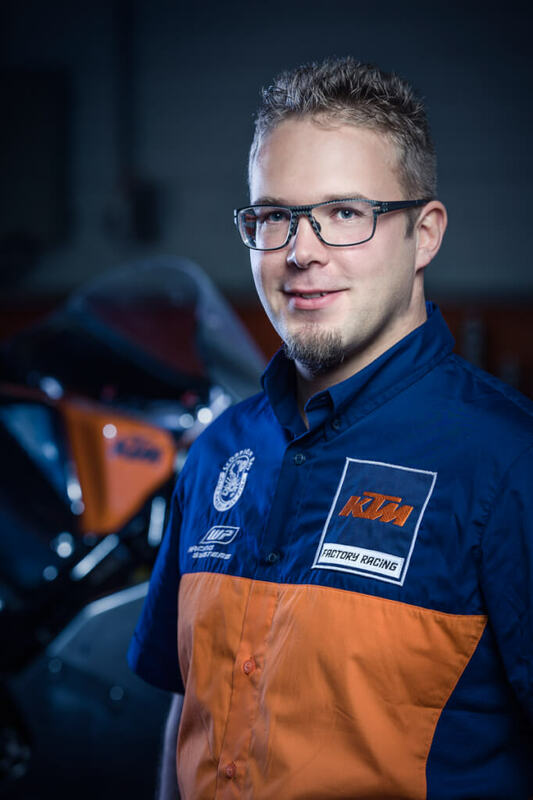 KTM has recently joined the MotoGP adventure, the flagship of motorcycle racing. What expectations have been fulfilled? Sebastian Risse: We knew MotoGP wasn’t going to be easy, and that we’d need to gain plenty of experience. 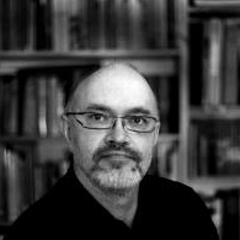 Now we find ourselves in the middle of the process, openly tackling the daily problems that arise and making improvements. It’s important always to be ready to question everything. That’s the only way we can take the steps which will bring us closer and closer to the top. Each weekend the race is run on another circuit that we’re not familiar with, and so both we and our technology continue to develop from weekend to weekend. How can you juggle the weekly race schedule with the general planning needed to develop your technology and team further? You have to find the right balance between the general testing and development work on the one hand, and the normal tuning for each race circuit on the other. That applies particularly for the circuits we haven’t raced on previously. That means we have a greater chance of making technical advances when we’re racing on circuits for which we already have data. That makes the whole racing weekend easier. It also allows us to make technical changes during a racing weekend and to be sure that the results are generally applicable. It’s never 100% possible to separate testing and racing; there’s always something in the back of your mind, or in the truck, which could make the motorcycle faster. But that’s exactly what you have to weigh up, and to limit the “risky” activities to testing. The KTM racing models from Red Bull KTM Factory Racing are the only ones in MotoGP to use steel frames. Why is that? Primarily because KTM has extensive know-how in this field. We have more experience and proficiency in using steel than in the field of aluminum manufacturing. We’re the market leader in steel frames, we use this advantage, and during MotoGP we learn how to drive this concept further, and perhaps to integrate it into serial production at a later stage. Steel frames offer huge potential for improvements; that means they offer advantages which you can use to progress quickly. They are quick to modify because their trellis structure offers many parameters such as wall thickness or tube diameter which can be individually adjusted. This allows us to quickly create variants without having to newly construct the frame each time. In this way we are faster to make advances. Regarding advances, vehicle electrification doesn’t stop when it comes to bikes. How do “ready to race” and e-mobility fit together? We’re keeping a close eye on developments in e-mobility. Racing motorcycles are already highly electrified, in as far as the rules allow. We have to continue working on battery technologies and related safety measures. We already have experience using battery-driven motorcycles in smaller classes such as Moto3; here the primary concern is power density which has to be increased. We are not yet using hybrid or e-bike technologies. But that will certainly come over the long or short term. KTM is well prepared for this. Seen from outside, there’s no end to the motivation and ambition at KTM. 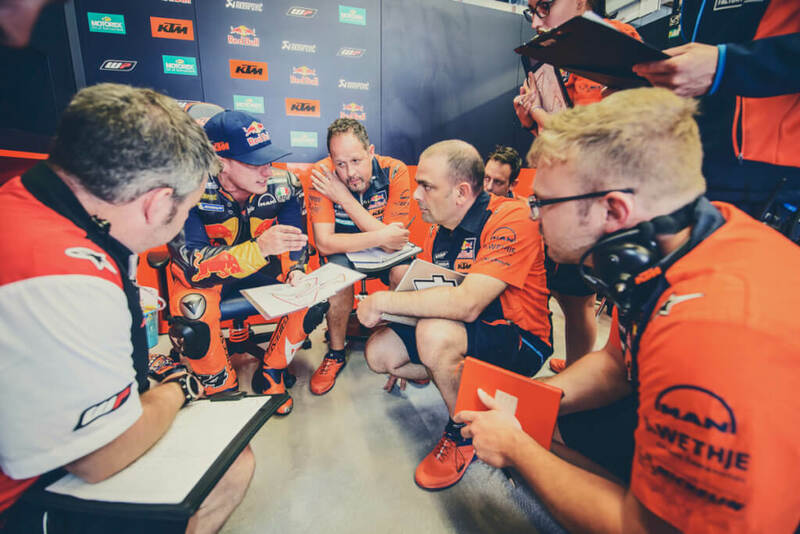 How dynamic is the young MotoGP team? Our team is truly highly motivated, no one needs to be “revved up”. As the boss, my primary task is to direct the high levels of personal motivation amongst the team members into the right direction, to set standards and consider risks. We have to find the right balance between the energy we apply and the desired result. It’s not energy and ideas we’re short of, it’s time. And time is tight. Racing starts at the Red Bull Ring Spielberg on August 13: the first true home race since the team was presented last year. How great is the pressure on the team? I’m very much looking forward to Spielberg. We had some very positive experiences here last year. The circuit suits our bikes, and motivation is huge in all areas. Naturally we’ll be the focus of an awful lot of attention. 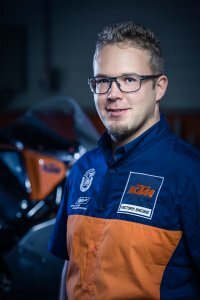 Half the KTM workforce is sure to be there. We see that less as pressure, and more as positive motivation which we want to transform into success at the weekend.